About a 20 minute walk from Butter Avenue, La Bamboche is a small French bakery that has taken on a Japanese inspiration in terms of the different flavours they experiment with in terms of their cakes and macarons. 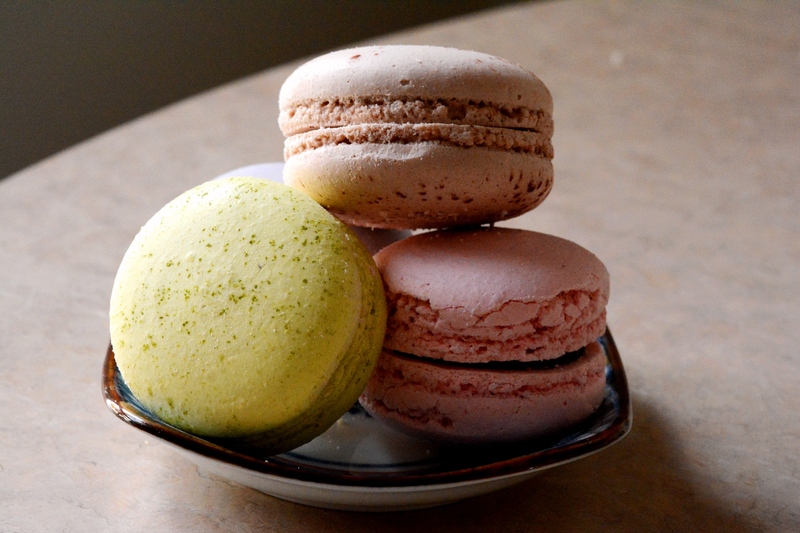 Their selection of macarons are distinctly different compared to Butter Avenue, with a clear influence of Japanese cuisine in their flavour profiles. 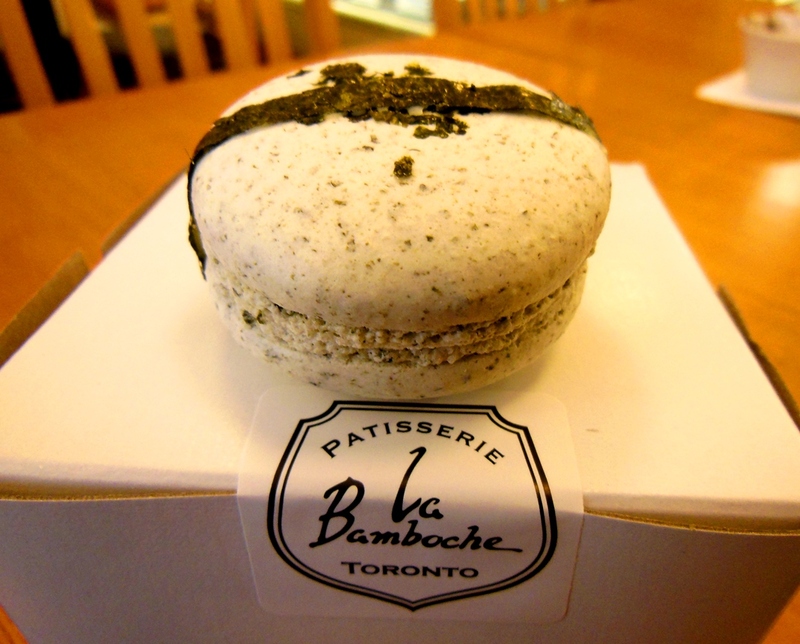 Their free sample was a seaweed, wasabi and white chocolate macaron. I’ll give them points on creativity. The macaron had a very strong sea brine flavour coming from the seaweed in the shell. The wasabi flavour soon kicks in from the butter cream, yet the sugar cuts the wasabi from the point of actually being spicy. 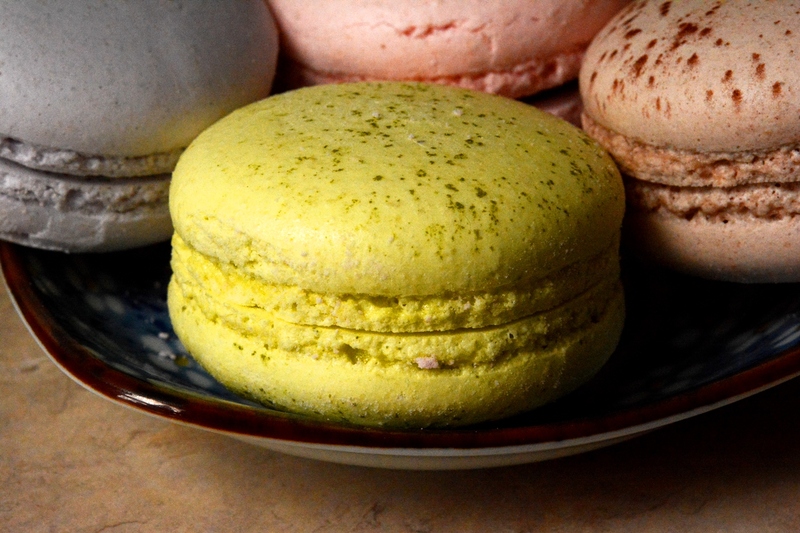 Eating this macaron reminded me of eating sushi but with quite a bit of sugar. Can’t say this was my favourite or something I would try again, however it wasn’t too bad. 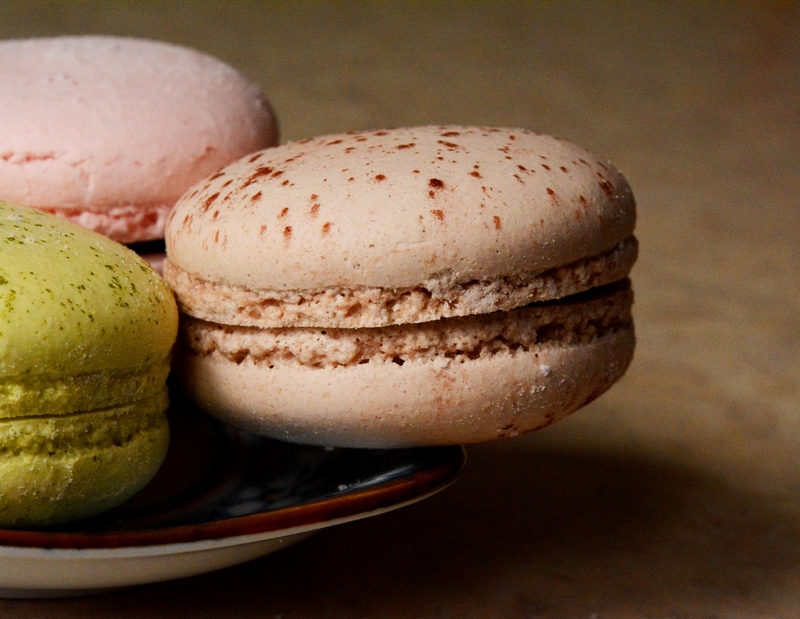 I decided to buy some of the macarons there since they had such interesting flavour combinations. So here’s a quick summary of the different flavours I have tried. Yuzu Sake- Very interesting and refreshing flavour combination. Yuzu is a citrus fruit and it definitely perked up this macaron along with the sake flavour in a very delightful way. Thumbs up! Lavender- Too much lavender flavour and they put a chocolate filling inside. FYI, lavender and chocolate aren’t the best flavour combinations out there. Sadly, I won’t be recommending this one to anybody. Espresso- This one was the best one out the bunch. Strong espresso flavour and the right amount of sweetness to counterbalance the natural bitterness from the espresso. Rose Strawberry- They used some sort of rosewater to get this flavour combination and to be honest, wasn’t really the best use of flavours. The name itself sounds very nice though, very Shakespearean. 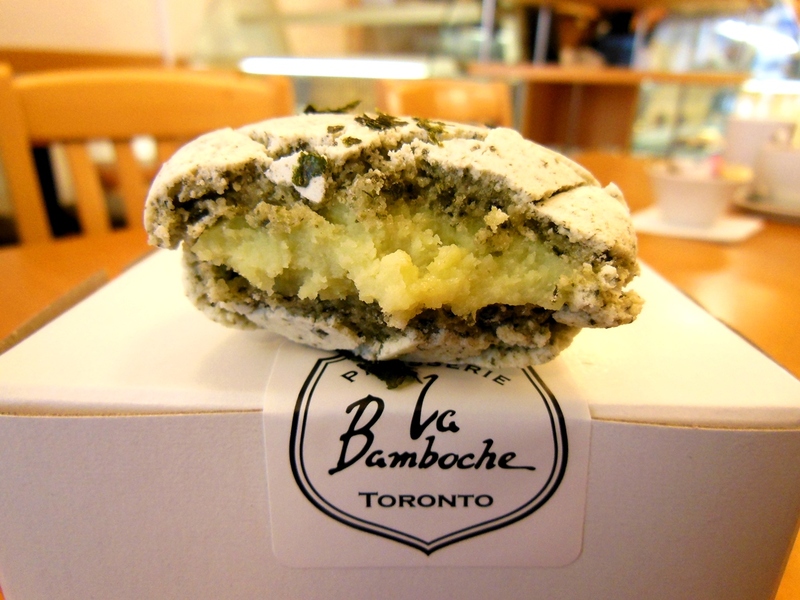 Overall, La Bamboche doesn’t have the best macarons that I’ve tried in Toronto. 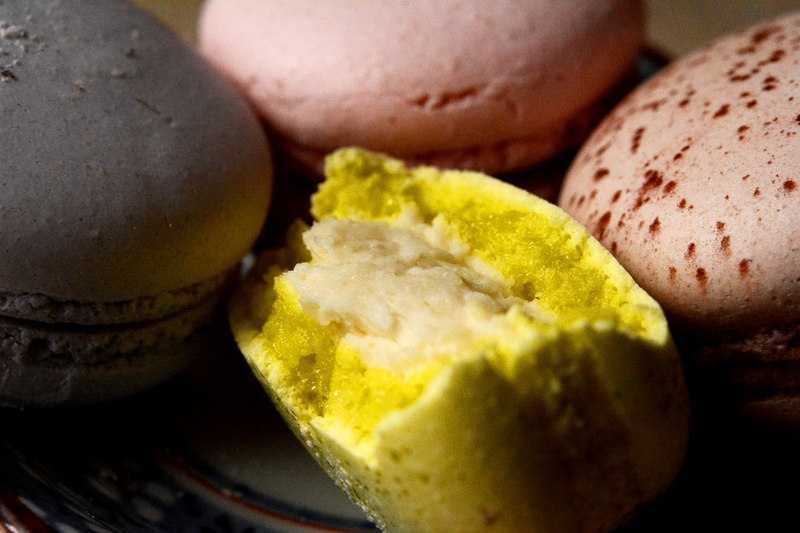 And from Macaron Day, I’d choose Butter Avenue, they’ve figured out how to get the flavouring right.